Hi all, this is a well overdue review of the Mega Plush Volum'Express waterproof mascara by Maybelline! I took these photos back in November last year and decided to retrieve them and finally write up this post which was requested in the comments section of my Maybelline haul. Now, mega volume goes mega plush. Our first gel-mousse mascara, for lush lashes soft to touch, never brittle or flaky. That looks exaggerated to me, it ain't a scrub brush! Before I curl my lashes, I curl my lashes using my favourite eyelash curler by Shiseido. It actually makes my lashes visible and holds the curl all day long. 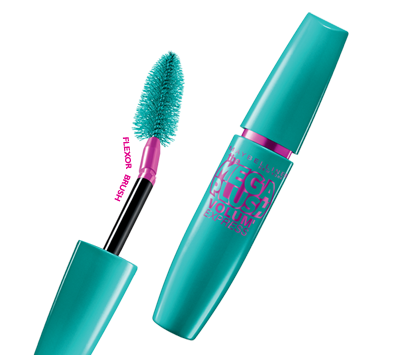 Although there is some indication of lengthening, this is definitely more of a volumising than lengthening mascara. Normally I would comb my lashes to remove any clumps after applying my mascara but for the sake of the review, I didn't. 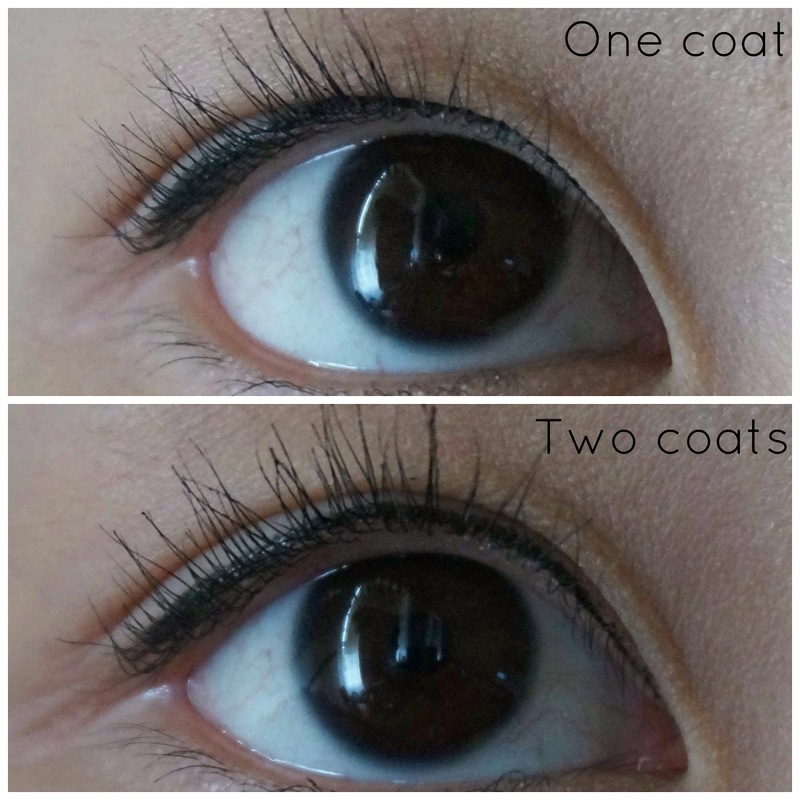 One coat gives me a very subtle change compared to wearing no mascara, and that's expected. A second coat made my lashes look thicker (voluminous) but the length stayed the same. A third and final coat thickened my lashes further with a bit of clumping on the ends which I'd comb out with a lash comb and it'll all be good. As you can see, not a lot has been done to my lower lashes - they're clumping more than lengthening. The gel-mousse formula means that it's quite wet and needs to be applied on the lashes quickly without letting it dry between coats. I'm one who prefers to coat my lashes on slowly with a drier formula (but not so dry that it starts flaking) so I can really work on my lashes, coating them and separating them as I go along. I'm glad that this gel-mousse formula wasn't too heavy on my lashes and held the curl all day/night. It gets a big tick for being waterproof. The flexor brush wasn't a feature that stood out for me or wasn't something that I felt made a huge difference with my lashes. I couldn't see why it was necessary, to me it seemed more like a marketing gimmick. Without the flexor feature on the wand, I probably would've gotten the same volumising results. As my short Asian lashes is more of a problem for me than the thickness of my lashes, I wouldn't repurchase this mascara because it volumises more than it lengthens which is not what I need. I love mascaras that make my lashes look extra long and thick, such as the Maybelline The Falsies mascara which is one of my favourite mascaras of all time. The Mega Plush volumises more than The Falsies so sometimes I use both (one coat of one, one coat of the other). I did a review of it here back in 2011 (wow, was it really that long ago?!) but unfortunately my pictures are missing from my accidental deletion so you'll just have to read the text! But this doesn't mean that I wouldn't recommend it if this is what you're after! Us girls all have different needs depending on our features - you may have long but thin/sparse lashes or short but thick lashes and if you're the former rather than the latter, I would recommend this mascara because it can make your long lashes look fuller. There are lots of positive aspects about this mascara and I'd say it isn't pricey. If you can get it when it's on sale, that's even better! Choose one - thicker or longer lashes? Disclaimer: Product was purchased by me with my own money. This is not a sponsored post, nor am I affiliated with the company mentioned in this post. All opinions are are stated by me with 100% honesty. Hi! I'll be sharing my nail swatches of the new ELES Brighton Nail Collection consisting of 12 vibrant pastel nail colours inspired by UK's Brighton Beach. Despite it being known as an 'infamous beach', I hadn't actually heard about it. Instead it reminds me of the coastal suburb in my city - the suburb of Brighton which has a large sandy beach. Either way, this range is all about the seaside inspiration with their shade names to match. 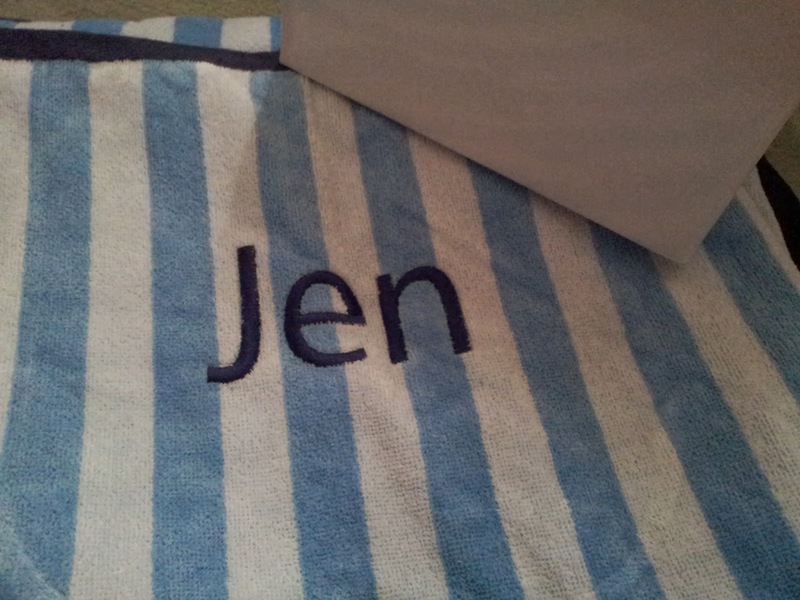 This was unexpectedly sent to me by ELES - surprise package! You may have noticed the '5 FREE' written at the front of each bottle. This simply means that these nail polishes have a '5 FREE' formula - NO DBP, NO Toulene, NO Formaldehyde, NO Formaldehyde Resin, NO Camphor. Don't worry, you're not expected to know what each of them are. Just know that these are 5 toxic ingredients common found in nail enamels, and these ELES nail enamels are FREE from them. Aren't they ALL so pretty?! I'm a massive fan of pastels, so you can imagine how excited I was to swatch all of these shades. I love the glossy finish that they give and the coats were very easy to apply and fast-drying. I found that with the nail polishes I had, there were a few that weren't as smooth and streak-free as others (you can probably tell in the swatches) and some were opaque with one coat and some were better with an extra coat. I guess it depends on the brightness/darkness of the shade but nonetheless, they all had a nice consistency. Overall I am really happy with these nail enamels and they're true to the colour seen on the bottle - what you see is what you get! For the quality, $15 each is a very reasonable price and I highly recommend them. If you're interested in checking them out further, you can find them on the ELES website here. those who have fairer skin, you can click on the 'Try it on' button on the site to preview the swatch. If you had to, pick a nail colour to have for life - what would it be? Disclaimer: Products were provided to me with no obligation to share or review. This is not a sponsored post, nor am I affiliated with any of the companies mentioned in this post. All opinions are stated by me with 100% honesty with no bias. Wow, it's already March! A new season has begun and another month has gone 'bye' (pun intended). I've decided to share my favourites from February, however I have many favourite products, including the ones from my 10 favourite products of 2012 (still loving those!) and from my recent hauls there have been products which turned out to be some of my favourites of all time. What I'll be sharing in this post are the products that I haven't showcased/mentioned on here before. This is a great time for me to do just that! I need a diary to keep me organised as it helps me to document my plans, deadlines and give me all sorts of reminders. In 2012 I had one just like this but bigger and when I used my diary last year (which was great but not designed this way), I really started to miss the colourfulness of my previous diary! I'm a sucker for cute/pretty designs, hence I repurchased this diary for 2014. Believe it or not but I had never bought OPI nail polish before until I bought this set. I have one full-sized OPI nail polish from the first ABC (beauty conference) goodie bag which was a bit too dark for my liking ('Lincoln Park After Dark') and I found the formula and lasting power to be similar to my Essie nail polishes I had purchased from blog sales. Plus I rarelyyyy get the chance to wear nail polishes due to my work regulations. I went shopping for a friend's birthday gift and found myself looking in the OPI section. This 3 pack was discounted to just $12 (RRP $17.95) and although I didn't exactly need new nail polish, I thought to myself, "oh, I might as well buy it since it's on sale!" and these shades are perfect for me! I love pinks and purples for nail polish, they're the shades that I wear the most :) I was also keen to try to Liquid Sand range which gives a textured matte finish as seen on blog reviews I've read. This brand was recommended to me by a friend when I was looking for a new moisturiser for my face that can give me high SPF protection. Usually when I go out I use BB Cream which gives me coverage and sun protection but some days I prefer to let me skin breathe and wear something more lightweight. It was under $10 which to me is fair for a 100 mL product and I was happy to pay that much to try it out. During February's heatwave, I needed something that could help soothe the dryness of my skin from the deadly sun and protect it from getting burnt. As cheesy as this sounds, this was my saviour!! Light, non-greasy, suitable for my sensitive/dry skin and can be used as a base for my makeup which I did a couple of times. Some of my foundations have none or little SPF protection, thus having this applied underneath solves that problem. I like the packaging because it makes it easy to carry around with me. These purchases were from my massive The Face Shop haul that I didn't get around to sharing as a post (In total, 21 products purchased). Sadly the shop in my city had to close and so they were forced to clear out all of their stock. I hadn't purchased any products from The Face Shop before because there was never anything that caught my eye or attention. However when I visited during their closing down sales, these coloured eyeliner pencils had me intrigued and as a result I bought 5 different colours, $3.30 each (RRP $16.50 each instore). I wanted to try using different eyeliner colours besides the usual black that I use. Endorsed by one of my favourite SNSD girls, Seohyun! I love the way these eyeliners glide on and the gel consistency is quite smooth compared to an ordinary Kohl pencil which can sometimes drag along the skin and not leave a nice, crisp line. I can use them on my upper and lower lash line and also as eyeshadow with the smudge tip. I need more waterproof pencil eyeliners too! Most of the ones I have don't last very long or end up smudging really easily. Damn, I wish I could have purchased all of the colours but there was very limited stock. I could always buy them online. More from The Face Shop haul! Eyeshadow sticks like these are so easy to use and they seem to be very popular for Asian brand cosmetics. It makes applying eyeshadow very quick compared to using eyeshadow palettes with a brush/sponge applicator. I don't have many of these eyeshadow/shimmer sticks and since they were only $2.60 each (RRP $13 instore), they were an absolute steal so I grabbed these colours out of the limited selection. The Face Shop normally sells these for $11 each instore and with the sale they went down to $2.20 each! It's a must for me to fill in my brows unless I'm just going to uni/work and I thought that this would be a good investment. They last for 24 months after opening - that gives me two years to be done with them and I'm pretty sure I can do that, even while having all opened at the same time and alternating between them. And you might be wondering why I purchased 3 different shades... well, it was hard to pick just one when there's so many shades of brown and I'm not a natural brunette but I'm always dyeing my hair brown, sometimes light and sometimes dark. So for that reason, I felt that it was best for me to get 3 different browns to match however my hair looks I suppose, hehe. Also buying 3 is still cheaper than buying 1 for its RRP. These are my first automatic eyebrow pencils and I think I prefer them a little more than eyebrow pencils that need sharpening. The triangular shape works well with the direction of the hairs on the brow, depending on how it's angled. I found that this type of design and application gives a more natural look and I don't have to worry about my brows looking too harsh as the colour is build-able and you can choose to keep it really natural/faint or bold. Having a spoolie on the end is always handy for blending. I've been trying a range of cleansers for my sensitive skin and seeing whether they work well and don't irritate my skin. These 3 cleansers/scrubs have been the stand out products for me so far and I've been alternating between them each day, but mostly sticking with the cleanser as my go-to because it's the most gentle out of the 3. Innisfree: This was from my recent Sasa haul which I also didn't get around to sharing. I did a search for sensitive skin cleansers and this popped up so I decided to give it a try, plus it was only $6 USD. Since it's a fragrance-free foam, I figured that it would be very gentle with its light, airy texture. The Face Shop: Purchased for the sake of the sale again and I have pretty big pores that I want to minimise. Even with products that say 'for all skin types', I still feel sceptical and hesitant to try the product because I in the past I have had skin reactions to products that say just that. But I bought it and tried it anyway - RRP $17.70 instore, bought for $7. Innisfree: It cleans my face well for something so gentle and I get no irritations. I like the pump dispenser as it's good for keeping the amount used consistent and 1 pump is enough for me. I would recommend this if you need a cleanser and have sensitive skin, or even if you don't have sensitive skin. The Face Shop: It smells really nice and the blue micro beads don't feel harsh on my skin. It has a clear, gel-like consistency and it didn't irritate my skin - in fact it made my skin feel super smooth and I reckon my pores did become smaller! I won't hesitate to reach for this again. Australian Pure Beauty: This one is a very grainy, sand-like and thick scrub where for me, a little goes a long way. I use about a pea size for my whole face and my skin feels smooth and refreshed afterwards. If this had been a product saying 'for all skin types' and I saw the texture of the scrub... I would have been very concerned about using it but since it says 'sensitive', I felt relaxed about giving it a try. Wording, packaging and appearance can have such a huge effect on one's perception, expectation and psychological thoughts. N/A. It was from quite a while ago, from an ABC goodie bag. And I had only recently started using it. N/A. From last year's ABC goodie bag. I haven't gotten into the Micellar Water Cleanser craze yet because most are quite up there in terms of pricing and I feel that average cleansers with water under $10 do enough for me. I always need to wash my face after removing my makeup anyway. But that doesn't stop me from being curious about Micellar Waters and wanting to try them. I'm not too sure if this product is classified as one because it doesn't say so on the bottle like most of them do. However the directions of use at the back of the bottle seems to indicate that it does work like one because it says, "pour on a cotton pad, then cleanse the entire face". I would say that this cleansing water is really gentle and effective for face makeup more than eye makeup that's waterproof. Of course it can remove waterproof eye makeup too but it would require a bit of rubbing and/or more product. This doesn't put me off using the product or making it a favourite... I see it more as a toner than a cleanser and I'm happy to use this product to remove my face makeup :) The scent is gorgeous (think flowers) and surprisingly doesn't irritate my skin. I still like it even though there could be better products out there. And that's a wrap!!! I always plan to have short and simple posts but I get very carried away when talking about things I LOVE and end up making these posts go on and on! Well it's over now, finally haha. 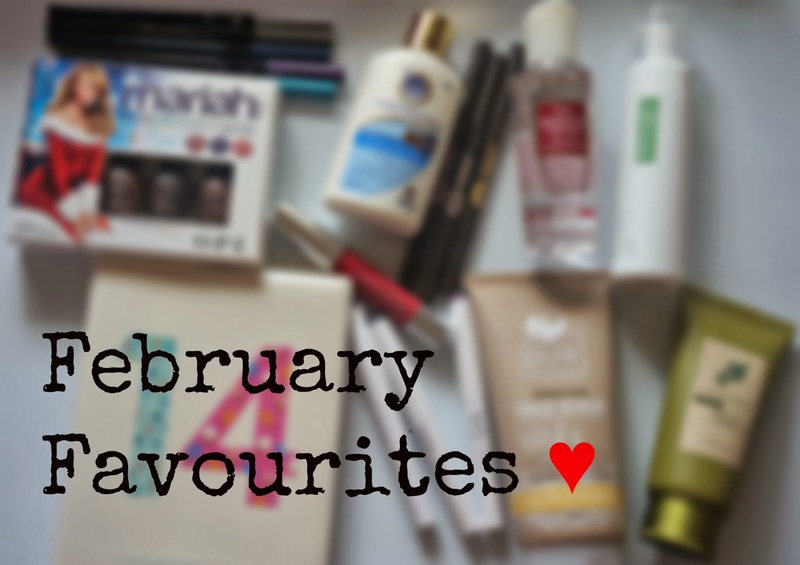 February favourites - what are some of yours? Keen to find out what people are liking/disliking! Disclaimer: Products mentioned in this post were purchased by me unless stated otherwise. This is not a sponsored post, nor am I affiliated with any of the companies acknowledged. All opinions are stated by me with 100% honesty with no bias.